Lonnie Vigil is probably the best-known potter from Nambe’. 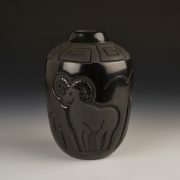 Winning the “Best of Classification” award at the Santa Fe Indian Market, Lonnie is known for his use of micaceous clay. 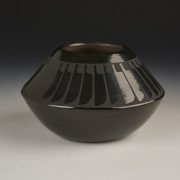 His shapes are derived from classic cooking and storage ware used by people of his pueblo. 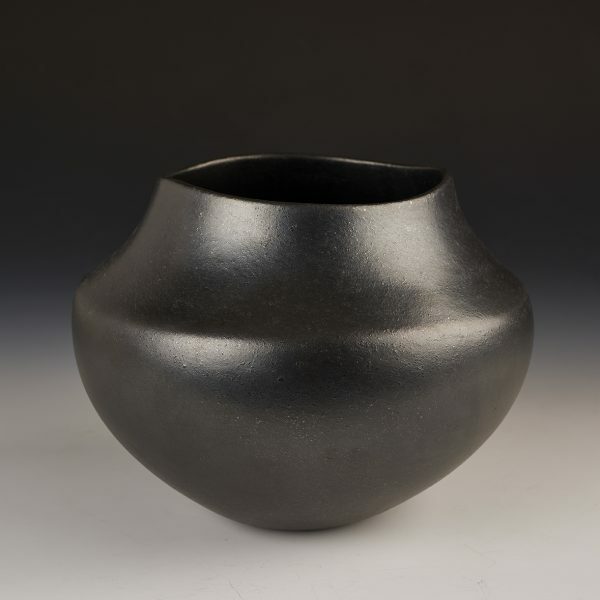 His clay produces pottery with a soft, textured finish. Before returning to his pueblo, Lonnie earned a degree in business administration and built a career as a financial and business consultant in New Mexico and in Washington, DC. 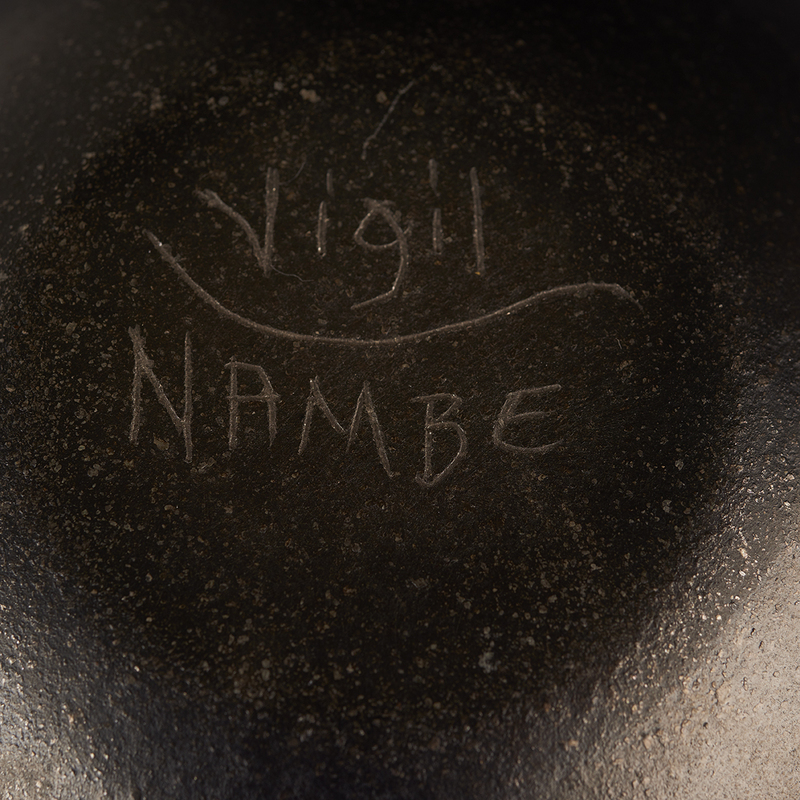 He claimed that when “Clay Mother” talked to him, he returned to the Nambe Pueblo. His great-grandmother and his great-aunts were all potters. Lonnie credits their guidance for his success. Now, he has become an acclaimed potter. Lonnie makes only a few of the smaller jars, and this is one of those rare exceptions. 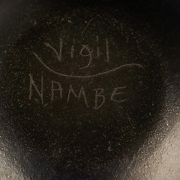 It is a chance for some collector to have a Vigil piece.